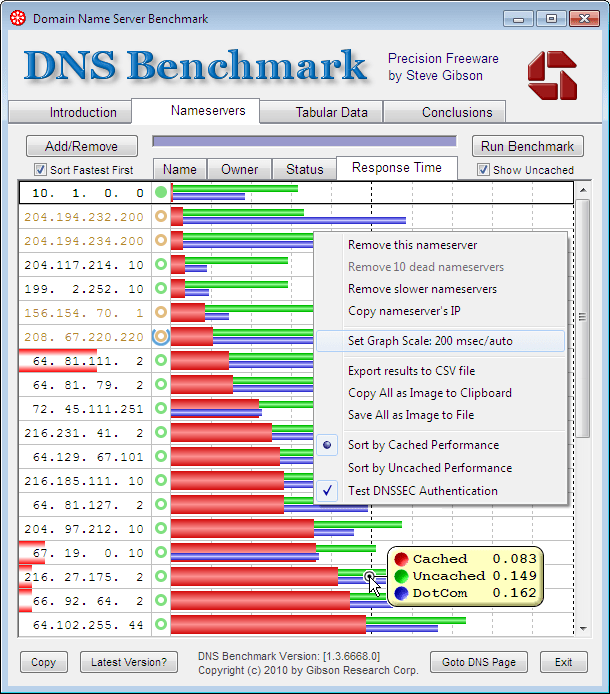 DNS Benchmark can help speed up internet service through the analysis of multiple Domain Name System servers. The graphical analysis can help you avoid slow and overloaded servers. Users who may have an especially bad DNS problem will see a noticeably slow reaction after typing in a www.whatever.com address and the website appearing. Since Google's DNS and the OpenDNS services may or may not be a good option, this tool can help you determine that clearly. Note that this program does not have the ability to modify your DNS. Users must modify system settings or use a tool like QuickSetDNS. How to extract: Download DNSBench.exe to a folder of your choice and launch. Much useful tool, works fine under Win7. Sadly, bombs under WinXP; perhaps the "OS Requirements" field needs updating? Dunno, some oddity with my old WinXP machine config ? kindly try and run Steve Gibson's fine DNS Benchmark tool under XP ? 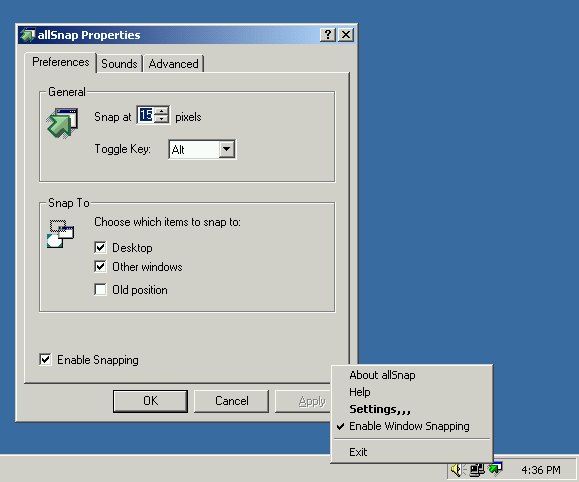 allSnap is a small system tray app that makes all top level windows automatically align like they do in programs such as Winamp or Photoshop. Hold down ALT to disable snapping. Note: Doesn't work with floating toolbars, programs that already have this functionality (Winamp), Microsoft Office 2007, and the Command window (cmd.exe). How to extract: Download the ZIP package and extract to a folder of your choice. Launch allSnapW.exe.